Migraine attacks are not fun. They can be debilitating and strike from nowhere. Keep reading to learn how to use CBD oil to fight back when migraines strike. 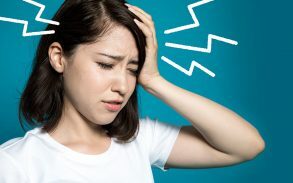 Have you ever experienced a migraine? If so, then you know how painful it can be. More than 37 million Americans suffer from migraines every year. 2-3 million migraine sufferers experience chronic migraines. A migraine is a neurological disease with debilitating symptoms. You might experience throbbing, sensitivity, pain, blurred vision, and vomiting during a migraine. Migraines can last from a few hours to a few days if left untreated. While painkillers are successful in alleviating migraine symptoms, they can also have dangerous side effects. Are you looking for a safe alternative to painkillers to fight your migraine attacks? You might want to consider CBD oil. CBD oil is an active compound that comes from cannabis. In recent years, more people are turning to this oil as a natural healing method for a variety of diseases. Migraine attacks are not fun. They can be debilitating and strike from nowhere. Keep reading to learn how to use CBD oil to fight back when migraines strike. You know all about the symptoms of migraines. But what actually causes them to occur? There’s no definitive answer. However, there are several theories as to why people suffer migraine attacks. Serotonin levels drop during migraines, which help regulate the nervous system. This creates a chemical imbalance in the brain. The lack of serotonin might cause a release of neuropeptides and calcitonin gene-related peptides. This might trigger nerves in pain pathways in the brain. The exact cause of migraines isn’t known, which makes them difficult to treat. There are many prescription drugs available that help alleviates migraine symptoms. Drugs like trazodone, propranolol, and flunarizine all help relieve migraine pain. But that’s all these drugs do: deal with symptoms. There is no cure for migraines. However, alternative treatments might be beneficial in dealing with migraine symptoms. What is CBD oil? There are many misperceptions when it comes to CBD oil. Many people equate CBD oil with illegal drugs, marijuana, and getting high. What exactly is CBD oil? CBD oil, or cannabidiol, is one of 113 cannabinoids that can be found within the marijuana plant. They are chemicals that react to cannabinoid receptor cells. This interaction changes the release of neurotransmitters in the brain. Another well-known cannabidiol is THC. This is the active ingredient in marijuana that gives users the feeling of being high. CBD oil is similar to THC but differs in the fact that it is non-psychoactive. That means that people who consume CBD oil don’t experience the feeling of getting high. CBD oil is extracted from marijuana or industrial hemp. It’s used as a herbal supplement to help deal with a variety of diseases. CBD oil isn’t just an option for people who suffer migraine attacks. CBD oil has a number of medical uses. CBD oil is especially effective in fighting neurogenerative diseases. People use CBD oil to treat epilepsy, Alzheimer’s, stroke, multiple sclerosis, fibromyalgia, and Parkinson’s disease. There isn’t any real research linking CBD oil and migraines. However, there has been some conclusive research on cannabis for migraines. One 2017 study showed that cannabis was an effective treatment method for migraine sufferers. The study took place over the course of six months. 26 people with headache disorders, including migraines, participated in the study. They took a combination of ibuprofen or nabilone with cannabis. They consumed the drugs for two-month intervals. The participants had fewer headaches and symptoms when they took the cannabis combination. The study showed that cannabis has potential to treat headaches and migraines. This is especially true when people consume cannabis with other drugs. The researchers concluded that there is a need for future studies on cannabis as a treatment for headaches and migraines. People who suffer migraines don’t just want to treat their symptoms. They want to decrease the frequency of their migraines. A 2014 study showed that cannabis can do exactly that. It’s clear that cannabis can help people treat their migraine attacks. But what about CBD oil? Unfortunately, there aren’t any major studies on CBD and migraines. That doesn’t mean CBD oil is ineffective in treating migraine attacks. Cannabinoids function by binding to receptors within the body. The human body actually produces cannabinoids as well. These cannabinoids are CB1 receptors and CB2 receptors. CB1 receptors play a vital role in the body. They help regulate major motor functions, pain, appetite, and mood. Studies have shown that a decrease in CB1 receptor expression is linked to migraines. CBD oil functions in the same way as THC. It binds to CB1 receptors. This can help regulate many important functions in the body while also treating migraines. You might be wondering why you should take CBD oil instead of marijuana. Remember, CBD oil is non-psychoactive. It’s a safe alternative to marijuana for people who don’t want to feel high. You can still function regularly after taking CBD oil. This is a great option for people who want to deal with their migraines but don’t want to interfere with work or other responsibilities. You’ve decided to take CBD oil for your migraine attacks. Now what? Taking CBD oil is not as complicated as you might think. CBD oil typically comes in a tincture. These are liquid extracts used for oil use. They come with a dropper top so that you can carefully measure and take the right dose. You should shake the tincture before taking CBD oil. This ensures that the extract blends well prior to consumption. Carefully loosen the top. Squeeze the dropper top until it gathers the right dosage. Once you have the right dosage, put the dropper under your tongue and add pressure. Wait 60-90 seconds before swallowing to make sure the oil absorbed into your system. How do you know if you have the right dosage? It all depends on the person. You can speak with your doctor to see what dosage they recommend. You might not get your CBD oil from a doctor. If that’s the case, you can talk to an employee at a marijuana dispensary to get their advice. It’s no secret that CBD oil has become popular in recent years. Businesses have tried to capitalize on CBD oil’s meteoric rise. As a result, you might feel overwhelmed when looking for the right strain. CBD oil comes in a number of different strains and concentrations. Due to differences in manufacturing, there are various levels of CBD concentration available. You might find one brand with 50mg of CBD per serving while another has 150mp per serving. It’s also important to know that CBD oils might contain some THC. This is due to both cannabinoids being present in the cannabis plant. Ask dispensary employees more specifics if you are looking to avoid THC consumption. There’s no denying that CBD oil can be effective for people with migraines. But buying CBD oil isn’t always easy. That’s because CBD isn’t approved for medical use by the FDA. As a result, the FDA doesn’t regulate CBD products. What does that mean for you? You might have to do some searching. CBD oil is sold where marijuana is legal. You can travel to a dispensary or use a medical cannabis finder to find CBD oil in your area. CBD oil is also sold online. Marijuana has some form of legalization in 30 states. You can consume cannabis products in 8 states (and Washington D.C.) for recreational use. In other areas, you might need to obtain a medical marijuana card. This shouldn’t be difficult for people suffering from migraine attacks. Are you in a state where marijuana is illegal? Don’t worry. CBD is not listed in the United States Controlled Substances Act. You may not be able to access cannabis CBD oil. But you can still buy hemp CBD oil. It’s legally available without a prescription throughout the entire United States. You can purchase it at pharmacies, drug stores, and grocery stores. Migraines are painful, unexpected, and incurable. But that doesn’t mean you have to give in to your symptoms. CBD oil presents a safe and reliable alternative to traditional prescription drugs. It can treat your symptoms and reduce the frequency of your migraines. This easy to take treatment method is growing in popularity. You can jump on the bandwagon by heading to a dispensary, seeking a medical marijuana, or by finding hemp CBD oil. What are you waiting for? Start getting the migraine relief you deserve today.